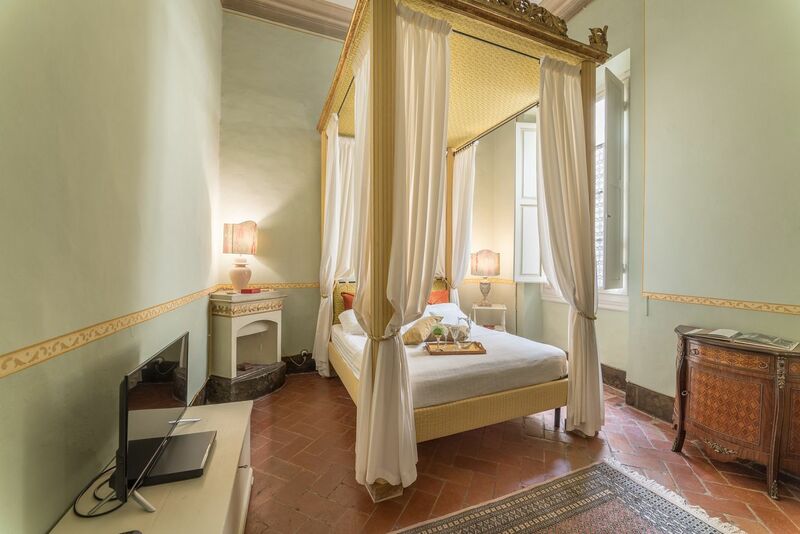 Located in one of the oldest buildings in the city, Maggio 9 Suite Gialla apartment is adorned with decorations and original finishes that recall the rich history of the city of Florence. 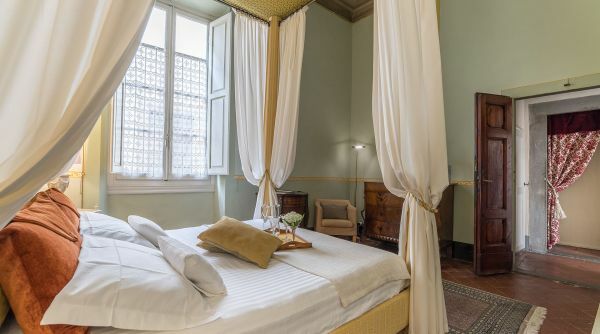 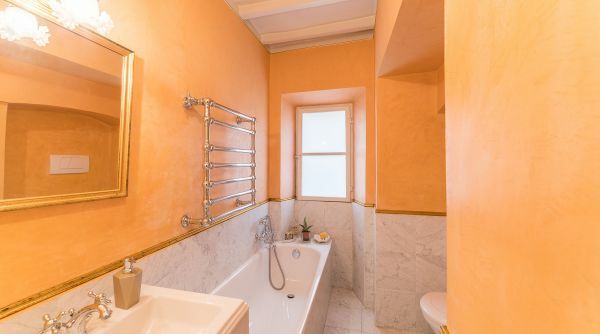 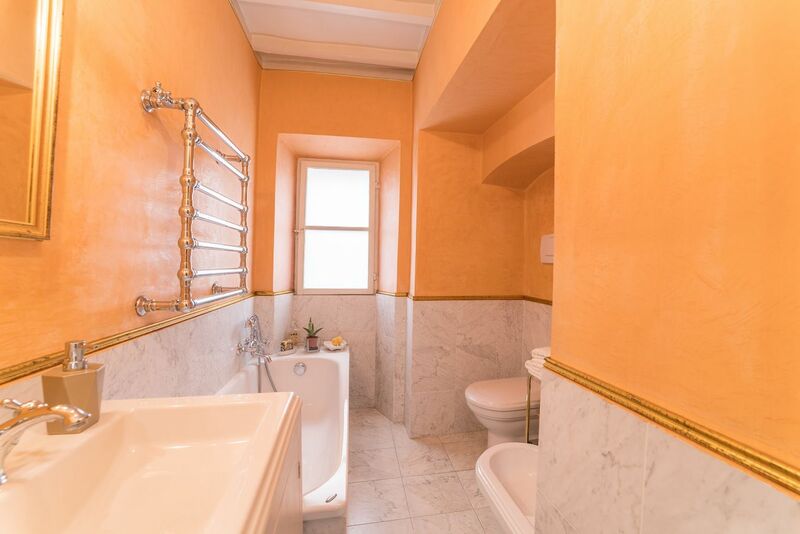 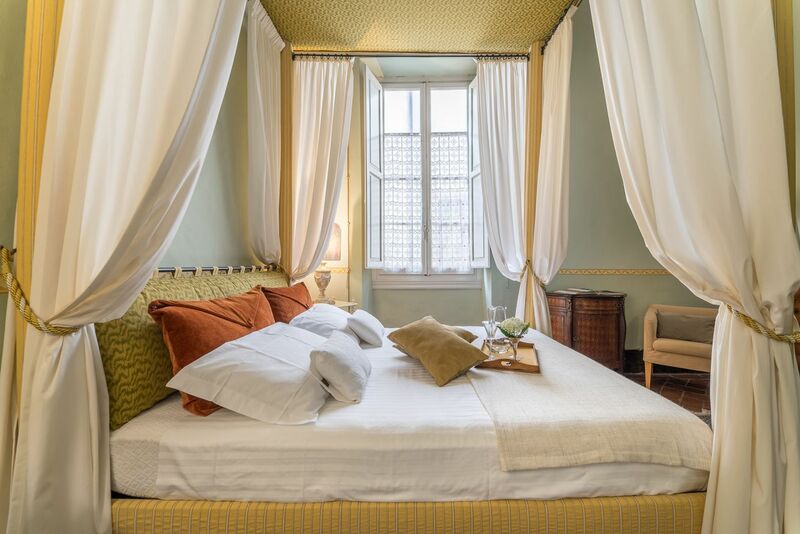 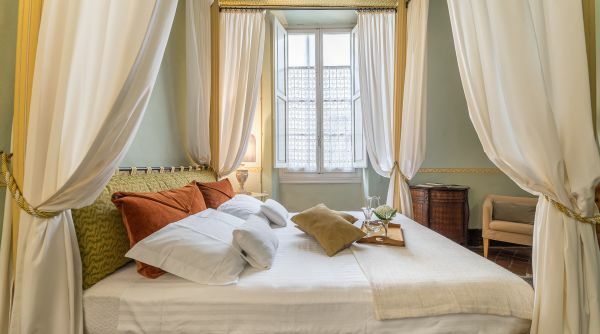 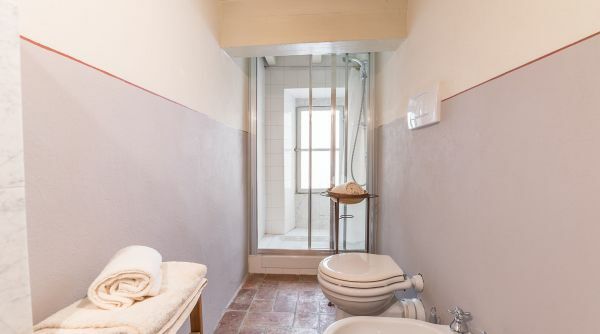 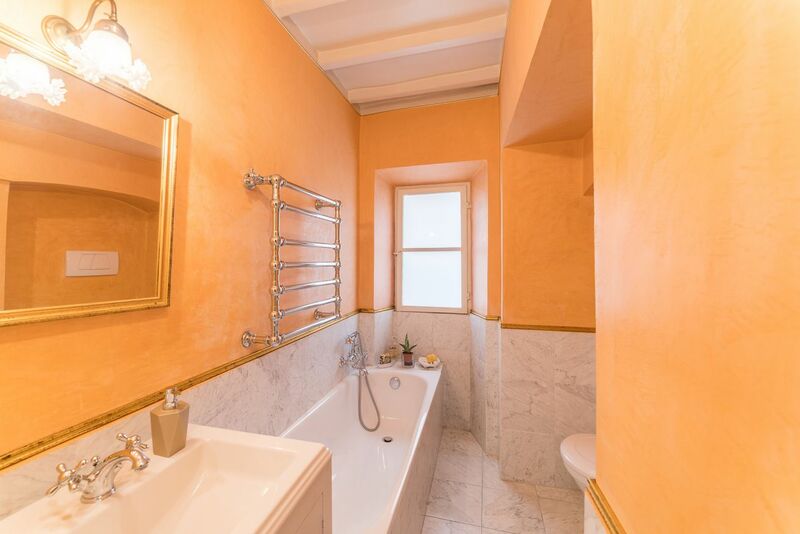 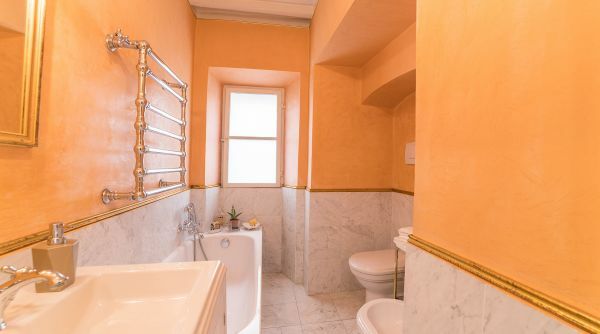 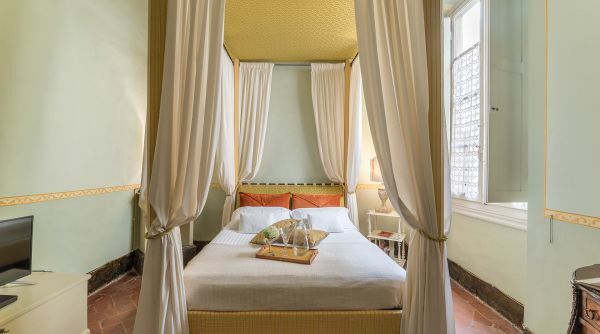 The house is composed by a master bedroom with king bed; a single bedroom; two full bathrooms, one with bathtube and one with shower and a fully equipped antique marble kitchen. 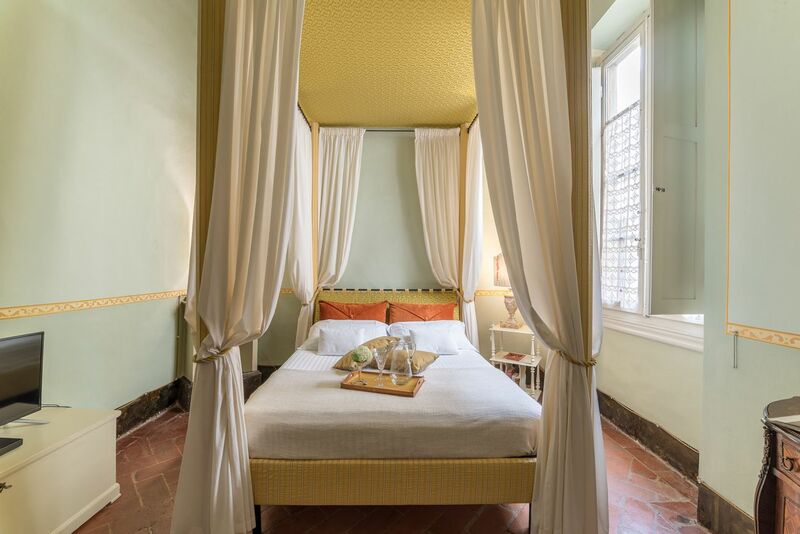 The eclectic mix of antique and modern furnishings, and the stylish decorative finishes of the apartment, make it one of a kind. 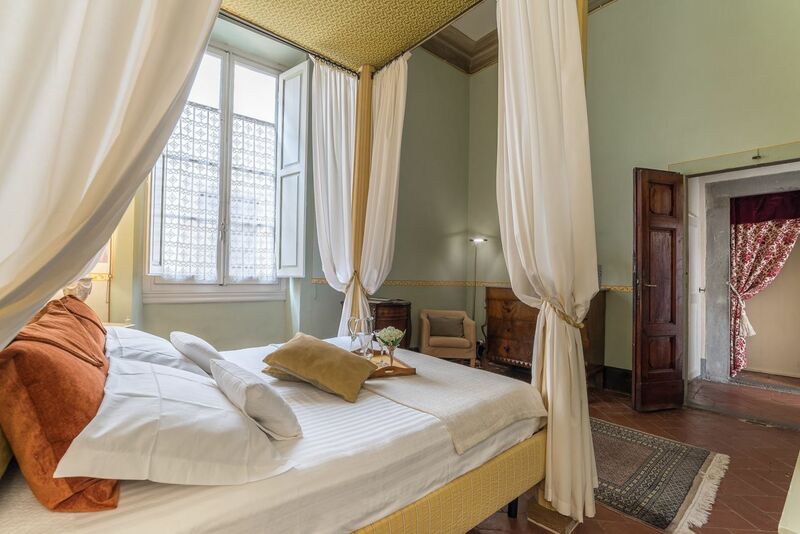 A perfectly central accommodation with great class and elegance that reflect the centuries of proud history of Borgo San Frediano. 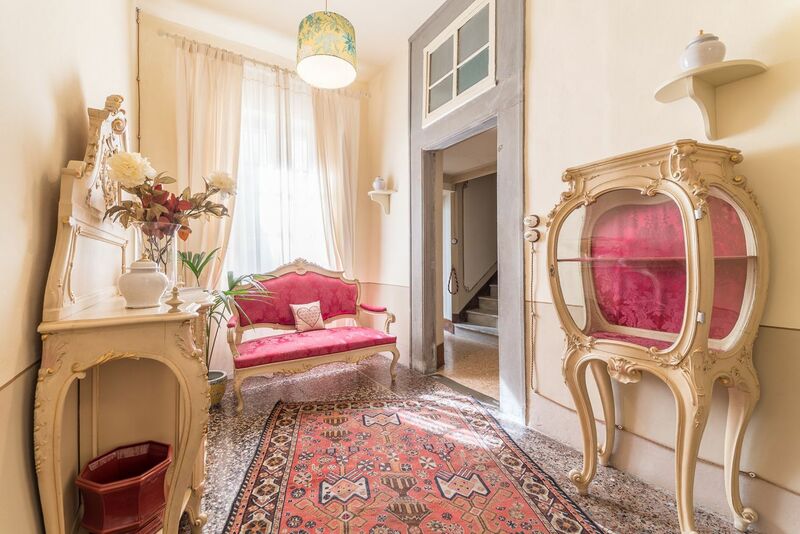 Maggio 9 Suite Gialla, with all of its charms, is the ideal apartment for anyone looking for a taste of classical italian style. 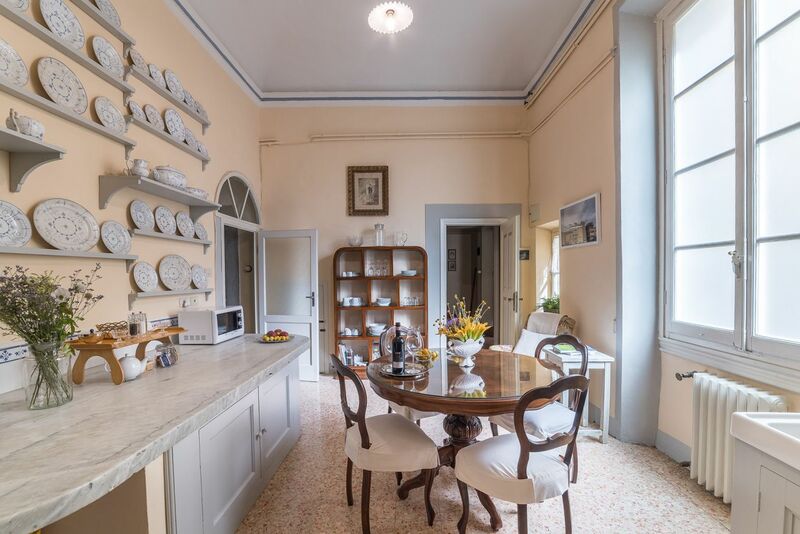 This apartment can be merged to the apartment to the apartment Maggio 9 Suite Rossa to create a bigger apartment, called 4 Leoni, with 3 bedrooms and 3 bathrooms, capable to host up to 7 guests. 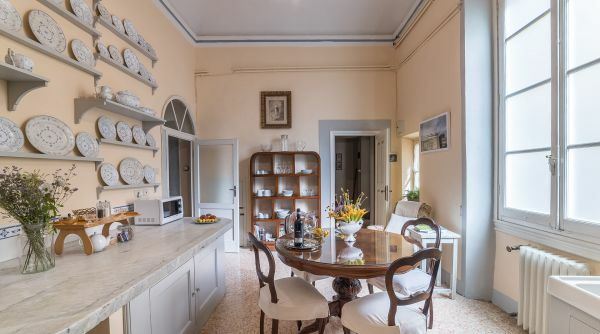 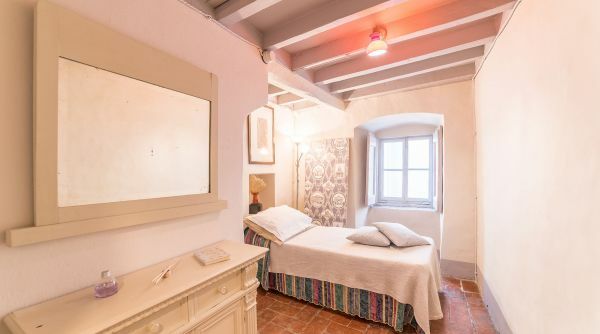 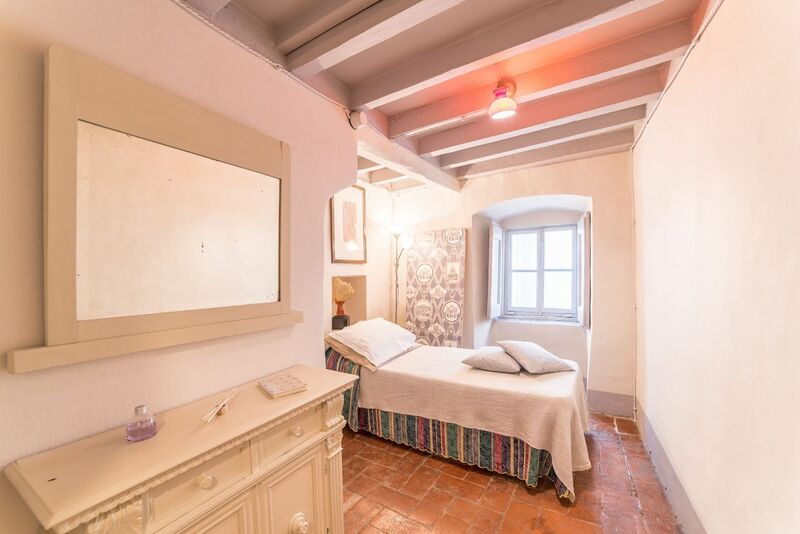 The apartment is located on the first floor (without elevator) of a beautiful historic building and consists of a fully equipped kitchen, 2 complete bathrooms and unlimited Wi-Fi. 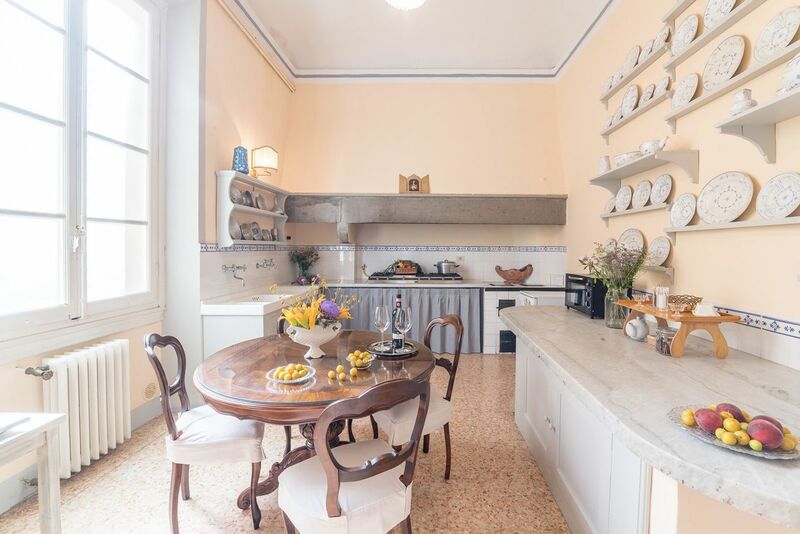 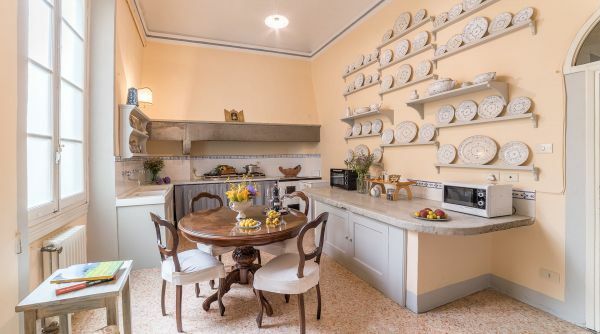 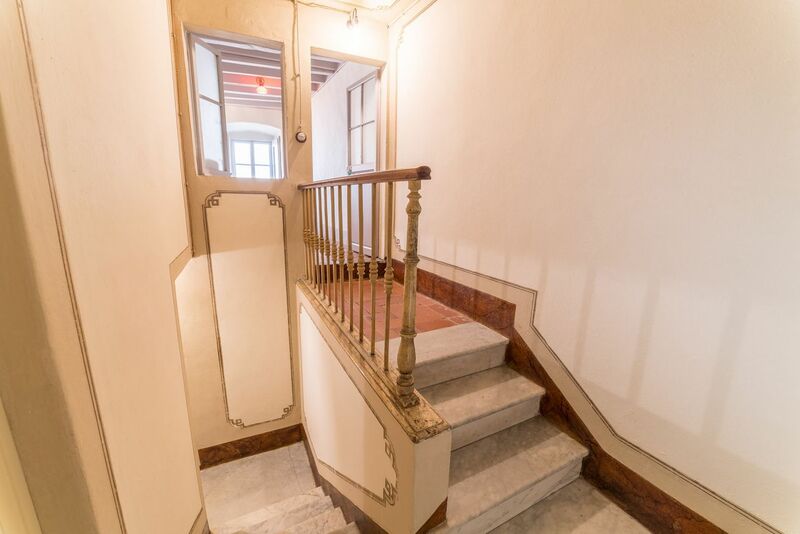 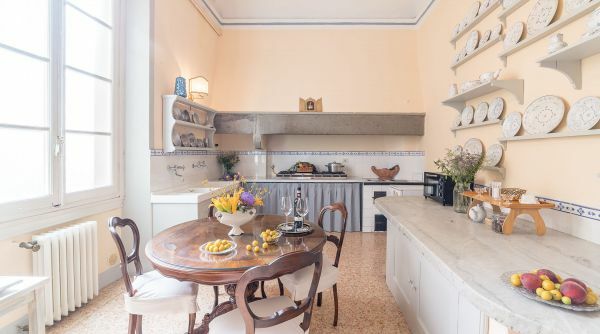 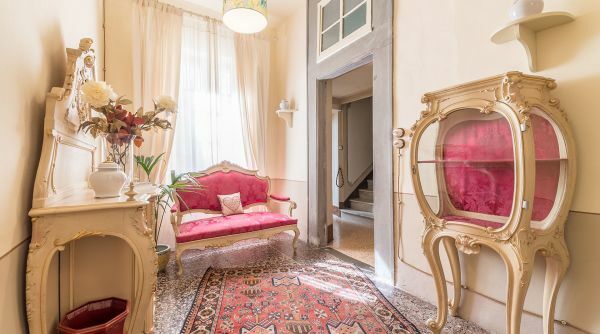 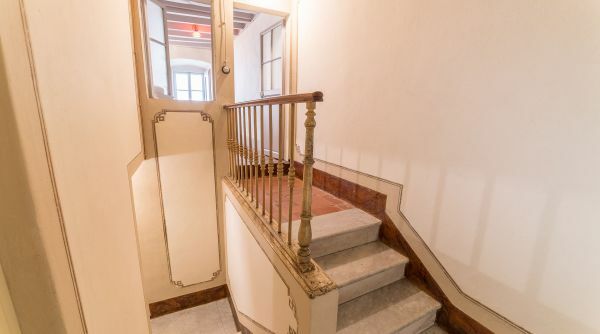 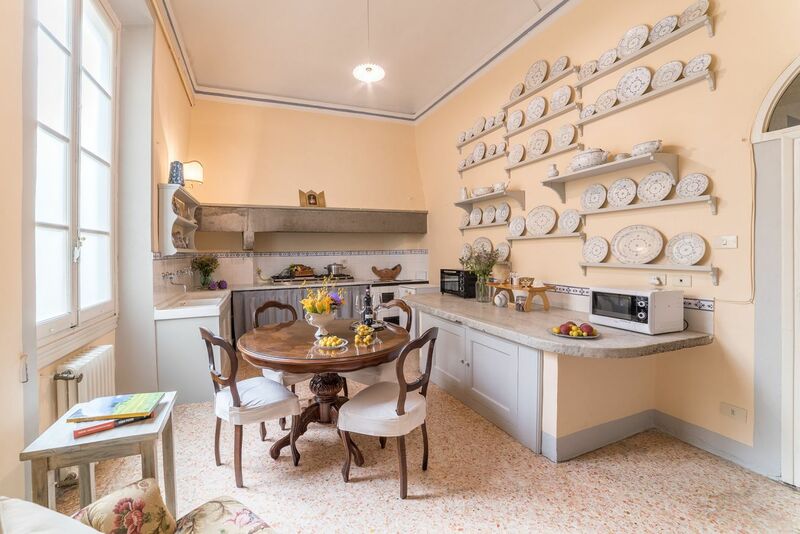 The house is located in via Maggio, the road of antique dealers that leads into the district of Santo Spirito (also known as Borgo San Frediano). 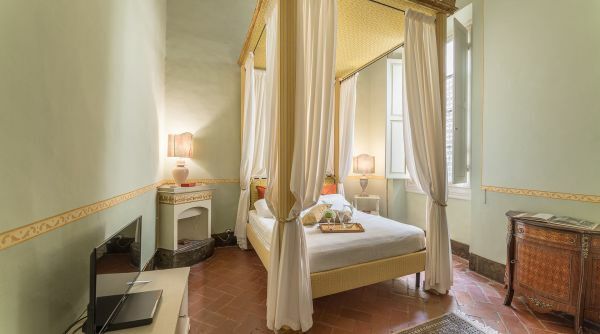 It is just a few steps from many monuments including the Ponte Vecchio, the Cathedral of Santo Spirito and the Galleria degli Uffizi. 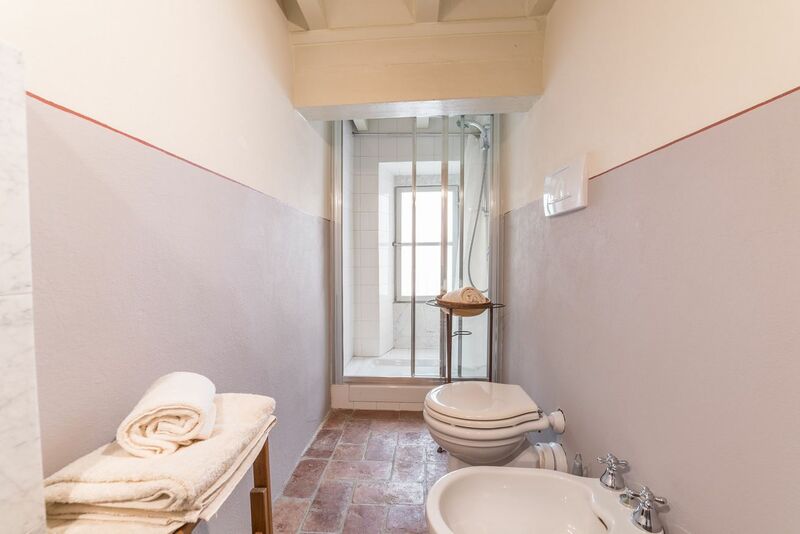 It's perfect for those who want to explore the historical city centre of Florence by foot.